The first three years at Nunney First School are spent in Hedgehog Class, taught by Miss Alison and Mrs Baxter with full time support from our team of teaching assistants. Spread over two spacious and well equipped classrooms, a separate small group teaching area, dedicated boys and girls toilets and with access to a lovely and well-equipped outdoor learning environment, Hedgehog Class provides a wonderful environment for young children to learn. It is next door to Nunney Pre-School so children who ‘graduate’ from there feel reassured in a familiar environment. Children entering Reception quickly find their feet and discover the joy of learning in a lively, engaging and nurturing atmosphere. While some may wonder at the challenge of teaching three year groups in one class, our experience at Nunney is that, with good planning and excellent teaching, it means we can provide a high level of flexibility of both curriculum and timetabling to allow each child to develop the attitude, behaviour and skills that they need to equip them for lifelong learning. 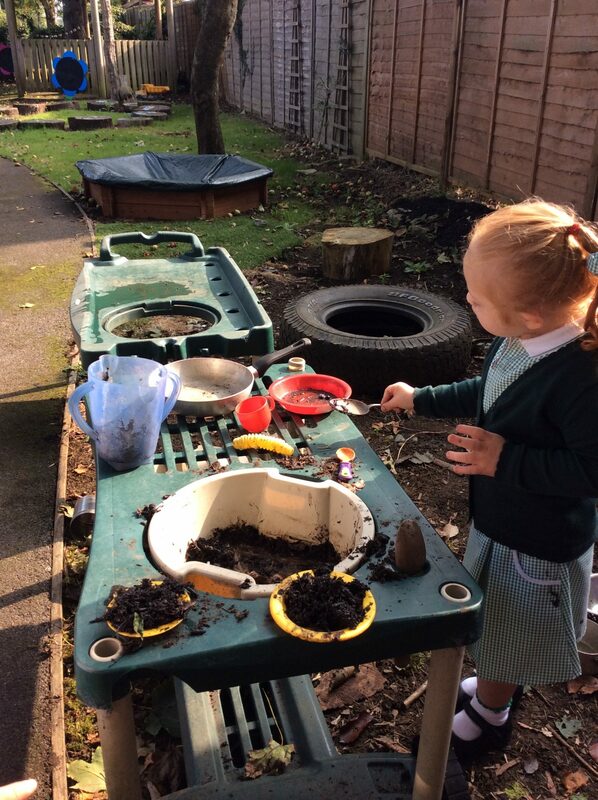 In the Reception year, for instance, our focus is on learning through play – learning to share, to concentrate, to grow in confidence, to respect others, to celebrate achievements. We use well known stories such as Three Little Pigs to involve the children through reading, drama and craft work. While doing this the children are learning letter sounds, letter formation, colours and shapes and some simple mathematics such as counting to 20 and being able to add and subtract numbers. 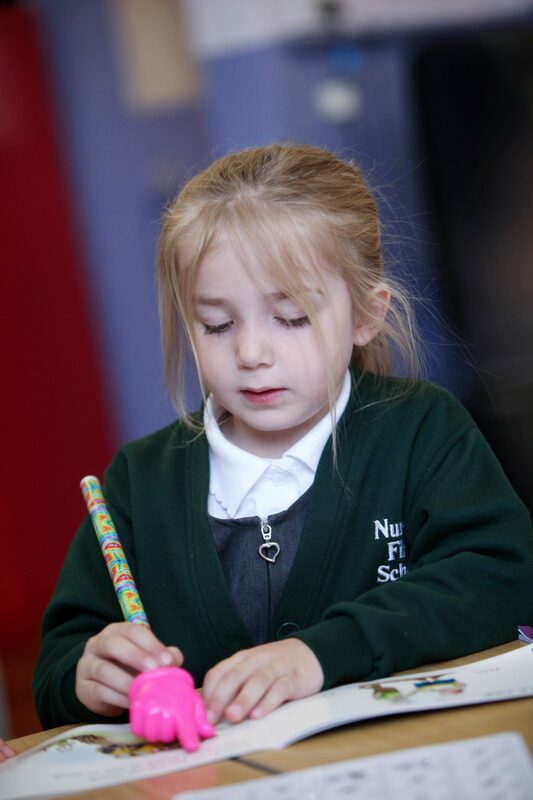 By the start of Year 1, our aim is that each child will have developed skills to embrace the more structured approach to teaching and learning that is expected in the National Curriculum in Years 1 and 2. We use Read, Write Inc to support our teaching of English, as well as daily phonics sessions, giving the children the tools they need to create stories describing place and character, using adjectives, speech marks and searching for alternative words to increase vocabulary. 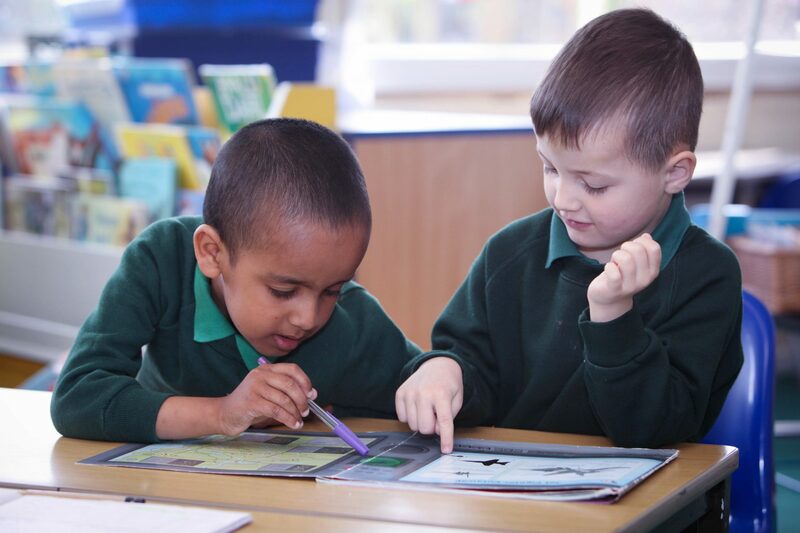 We place great emphasis on reading and each child will have a programme of books with regular sessions reading to an adult; we encourage parents and carers to support this at home. 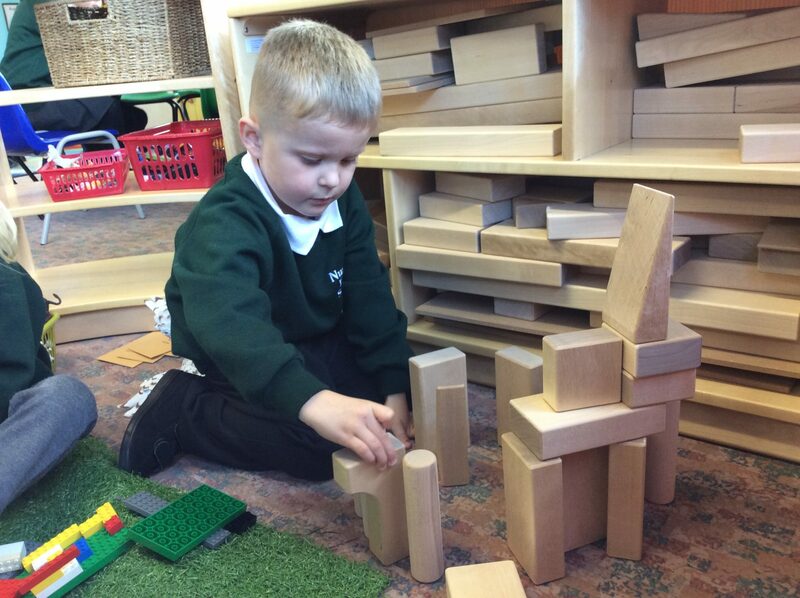 Children love showing off a new skill – particularly to a family member! In mathematics the focus in Year 1 will be on counting in 2s, 5s and 10s, learning to multiply these numbers confidently and quickly, securing their knowledge of 2-digit numbers, counting, ordering and comparing. 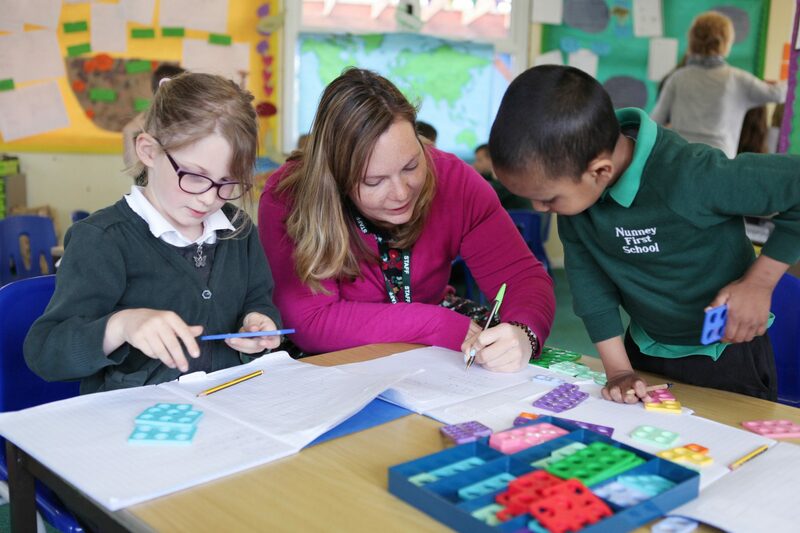 Regular assessments take place so that teachers can plan and embed tailored learning for each child, making the most of his or her individual capabilities. Parents are welcome to come and talk to teachers at any time and we arrange termly Parents’ Evenings when the work of pupils in Hedgehog Class is on view and parents/carers can meet with teachers to discuss their child’s progress and next steps. 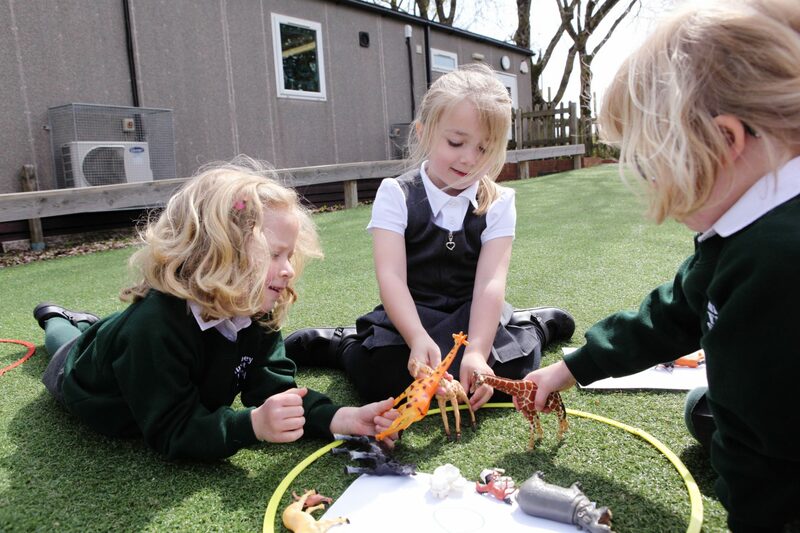 Children who spend the first three years of their formal schooling in Hedgehog Class move up to Year 3 with confidence knowing they are ready for the challenges ahead when they cross the playground to the Otter Class.